Keith has been facilitating workshops and trainings around the themes of community, environment, well-being and diversity since 2001 . His work involves music, media, theatre, nature connection and mindfulness. He is a founding director of Movingsounds, a Community Interest Company that delivers creative workshops addressing social and environmental issues. 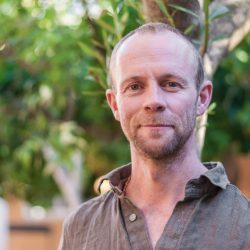 He is a trainer in Cultural Emergence, creating healthy communities and systemic change based on Social Permaculture and indigenous culture. As a musician he performs with several groups, including Swing Zazou, and is a composer and producer.